Donnersdorf, 02/11/2018. 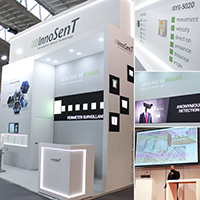 From 25 to 28/09/2018, InnoSenT GmbH presented its radar solutions to the approximately 36,000 trade specialists visiting Security, the leading trade fair for civil security in Essen. For the second time running, the mid-sized company from the German region of Lower Franconia was present at the fair and enjoyed a significant increase in visitors at its stand in Hall 7. This is in part on account of their products, which win over customers and end users through their advanced technology and significant utility value. With this additional fair presence, the company appeared on the radar of many security professionals: InnoSenT was a finalist at two award ceremonies and organised a presentation by product manager Christian Düring. With the slogan ?Rely on more senses?, Düring spoke on the current state of radar technology and explained the ensuing possibilities for security applications during the Security Expert Forum. The talk was very well received and impressed the audience with its illustrative image and video material. Düring also seized the opportunity to draw interest to the new iSYS-5020 product, which InnoSenT presented for the first time at Security 2018 as a highlight. The new radar system was modelled after the iSYS-5010 system, developed in 2017. The two radar solutions were very popular at Security, particularly thanks to the possibility of fusing technologies and their features. The company optimally tuned the two products? characteristics for combination with security systems and improved surveillance efficiency and reliability. Because the products enable hazard areas and non-critical zones to be defined. Since the information undergoes further processing, objects can even be classified as humans, animals or vehicles, for instance. Additionally, the radar systems are not sensitive to weather or light conditions. Thanks to these advantages, false alarms are reduced to a minimum during surveillance. Using filters and zones, both systems allow for targeted, anonymous area surveillance within a vast detection range. Due to its innovative value, two competent panels of judges chose iSYS-5010 as a finalist in the Security Innovation Awards 2018 and the GIT SICHERHEIT Award 2019. ?The nomination was of great significance to our company. Even if we didn?t receive an award, it was a tremendous step forward. Compared to other security technologies, radar is barely present in the sector. The competitions and Security Essen 2018 presented a great opportunity to put the focus on radar sensor systems as a security application and to spread information about its benefits. Because the demand and desire for information about this technology is on the rise?, explained Christian Bömmel, Head of Sales & Marketing at the leading radar technology company. The five-person team at the InnoSenT stand confirms the greater interest shown by visitors and was especially delighted by the increased number of valuable and intense expert discussions about innovative radar technology. The modern design and the strong multi-media presentation attracted many visitors and enticed them to stay. The great response and the open exchange with security experts during the days at the fair yielded fresh insights and inspiration for new collaboration ventures, improvements and innovations. 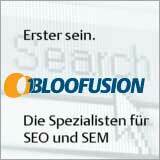 InnoSenT thus feels their exhibition at Security Essen was once again a success this year. After this eventful trade fair, the company is already preparing for its next big event: The electronica 2018 in Munich. Further impressions and video reports about the fair and the products presented are available on InnoSenT GmbH?s social media channels.